When Easy Come, Easy Go came to my local theater during spring break of 1967, I was only a few months away from high school graduation. While other concerns, most notably the draft and college, were competing for my attention at the time, my loyalty to Elvis was still strong, and so I drove my first car, a ’53 Chevy, downtown one afternoon to see Elvis’s latest movie. I was neither disappointed nor especially delighted with what I saw. Except for a new slant in the storyline, Easy Come, Easy Go differed little from Presley’s films of the previous two years. But there was Elvis to see and a handful of new songs to hear, and that was good enough for me in those days. I did notice some new twists in this Presley feature, however. As a Navy frogman, Elvis was serving in his third different branch of the armed forces. (He was previously in the Army in G.I. Blues and in the Air Force in Kissin’ Cousins.) Then, despite all the gorgeous girls frolicking around him, Elvis’s character was actually more money-hungry than girl-crazy this time around. Finally, although this was Presley’s ninth picture for Hal Wallis, it lacked the colorful scenery and wall-to-wall Elvis vocals that spiced up the producer’s previous Presley films. Variety also commended Elvis’s appearance in the movie. “Somewhat slimmer here than in recent pix, Elvis looks great and ageless,” observed “Murf.” To my eye, though, Elvis still seemed a little hefty in Easy Come, Easy Go, especially compared to either his athletic physique of only a couple of years earlier or the Greek God appearance he would feature on stage two years later. 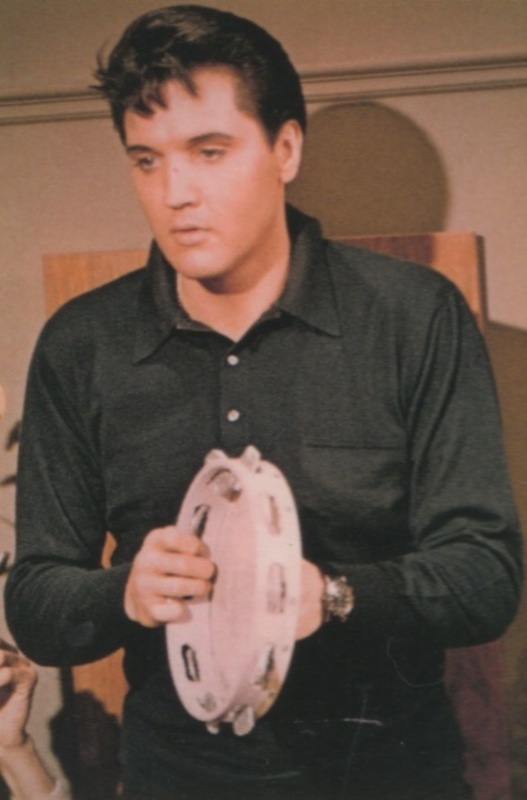 In this film, after Elvis is discharged from the Navy, he looks much better in civilian clothes the rest of the way. It was certainly no coincidence that director John Rich dressed the star in black civies, as such attire produced a slimming effect through the eye of the camera. The movie’s title foretells the sluggish movement of its narrative. The leisurely pace is a result of the story’s two thematic strands, which never successfully merge with each other. On one hand, there is the adventure story of a lost treasure chest in a sunken ship and the race to recover it. This runs concurrently throughout the film with what is clearly intended to be a spoof on the counter culture of the mid-sixties. There’s the yoga scene; the “Happening” of drenching an embracing couple in spaghetti; a couple of modern art sequences; and wall signs featuring such heavy thoughts as, “Conserve Water, Shower Together,” and “Narcissism—the Only Ism for Me.” The spoofing interrupts and slows down the treasure hunt action throughout. Nothing slows down the film as much, however, as the two lengthy underwater sequences, especially since the viewer knows that’s not really Elvis in the black scuba outfit. As for the music, you have to go back five years to 1962’s Kid Galahad to find an Elvis movie as short on tunes as Easy Come, Easy Go. Aside from the goofy “Yoga Is As Yoga Does” duet with Elsa Lanchester, Elvis’s vocals here are the mellow sounds typically found in his films of the late 1960s. Only the uptempo “You Gotta Stop” has an edge to it. Varietynoted the six songs were “easy on the ears, scored well by Joseph J. Lilley and choreographed in effective and deceptive simplicity by David Winters.” Commercially, the movie’s soundtrack recording was a flop. Released in “extended play” format, the six-tune package proved to be the worst selling non-Christmas record in Elvis’s career to that point. It never made the charts and sold only about 30,000 copies. 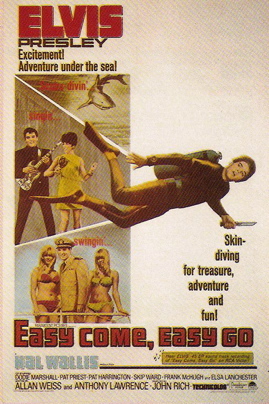 As mentioned, Easy Come, Easy Go is no better nor worse than the dozen or so Elvis movies that preceded it. Still, it suffered artistically and commercially as the latest in a long-line of uninspired Presley features. Despite that, however, take a look at the following, frankly, astonishing general assessment of Elvis’s movies in Variety’s review of Easy Come, Easy Go. • Was Elvis Losing the Magic Touch? 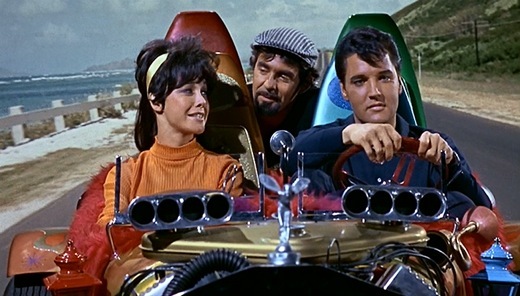 "Easy Come, Easy Go is no better nor worse than the dozen or so Elvis movies that preceded it. Still, it suffered artistically and commercially as the latest in a long-line of uninspired Presley features."